Heads up! 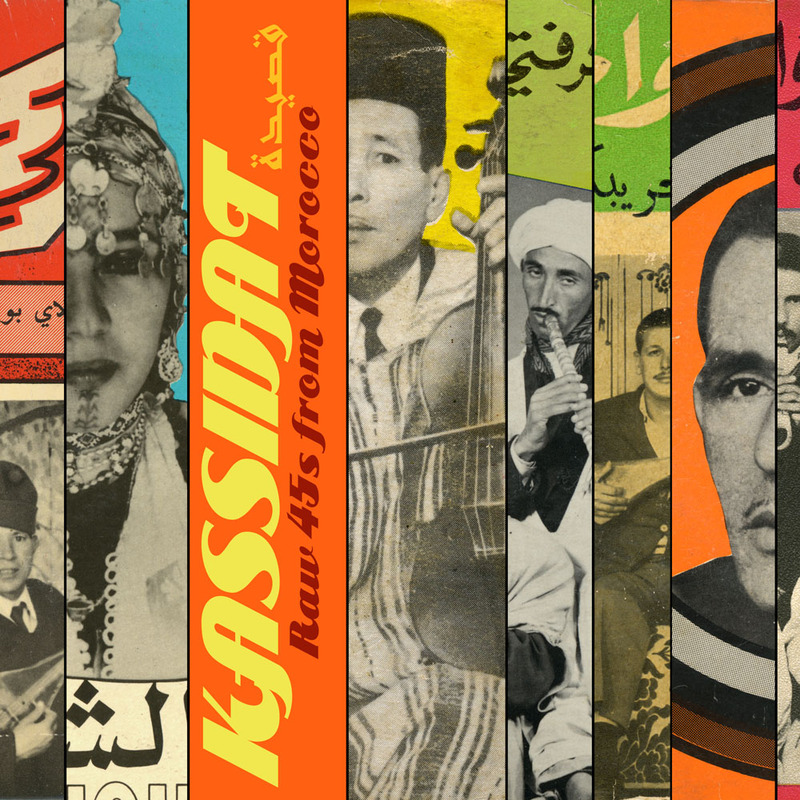 Dust-toDigital has just released an LP of old Moroccan music I produced. Haji Maji vs. Excavated Shellac – no holds barred! Ok, so it turned out to be more of a lovefest than a brawl. Jon Ward of Excavated Shellac was in town, so we took up DJ McSchmormac on his offer to spin some rare 78s on his internet radio show, Gramophoney Baloney. In the first part, Jon and I do some role reversal – he plays Asian 78s from his collection and I play African 78s from mine. But we soon got bored with that format and thew in some other genres and regional musics from far flung places such as India, Curacao, Iraqi Kurdistan, Crete, and Azerbaijan. 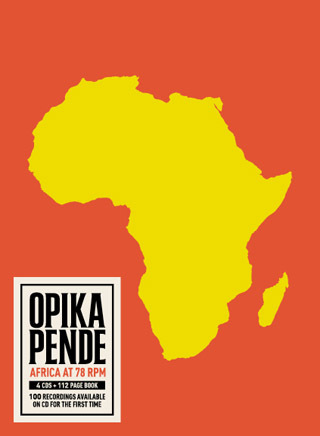 We ended the show with nearly 30 minutes worth of rare and unusual North African tracks. We also discuss some upcoming projects and other less riveting subjects. Although this program was assembled quickly, with little time to work on the sound, title translations and such, I think you’ll find it makes for a good couple hours of rare music listening. enjoy! I’ve been having a bit of fun posting some of my non-Asian 78s from around the world over at ShellacHead.com. 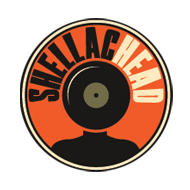 ShellacHead was previously used as my 78 emporium, but I’m just too busy these days to deal with selling records. I had the pleasure to design the new lp from Dust-to-Digital’s vinyl imprint Parlortone. The album was compiled by Chris Menist from his collection of Yemeni 45s. A follow-up to the LUK THUNG album that I put together for Parlortone, this is the 2nd release in a loose series of post-war traditional and traditional-oriented pop music from around the world, an often overlooked era that falls between the earlier 78s and the later (or in some cases, simultaneous) rock influenced recordings of the 60s and 70s. You can expect a few more cool projects along these lines in the not-too-distant future. 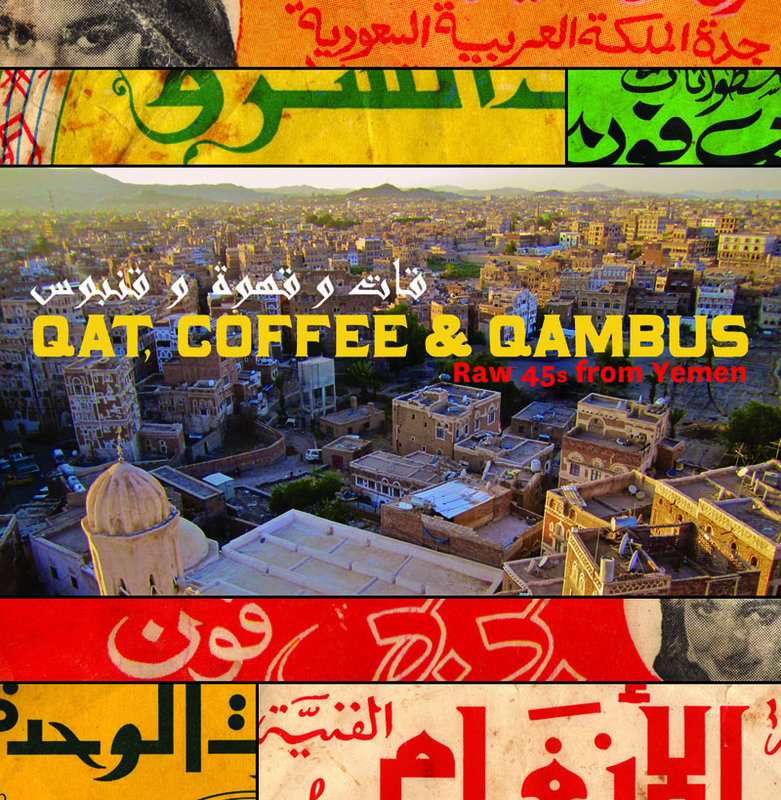 Qat, Coffee & Qambus is full of fantastic Yemeni oud music, get your copy HERE before it sells out! Hear a sample right HERE. I’ll be working up some new posts in January as time allows. 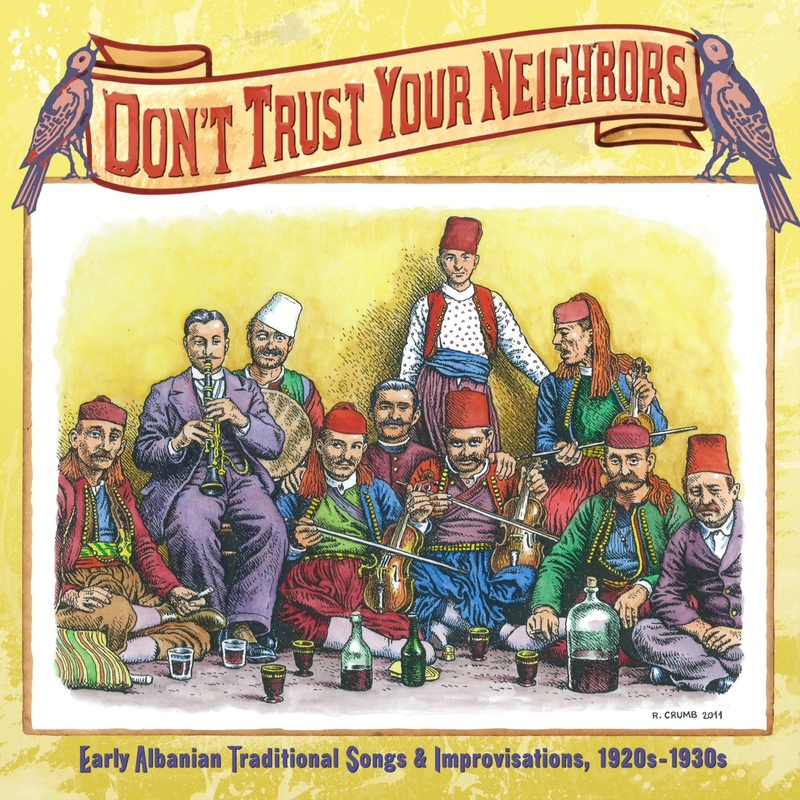 In the meantime, I want to give a shout out to Hinter records and collector/sound engineer Chris King for the great work on their new lp of Albanian 78s called Don’t Trust Your Neighbors. It’s been awhile since the fantastic Albanian Village Music cd was issued, and the selections on this record are just as amazing, with excellent sound quality. It’s nicely designed and you can’t argue with a cover by Crumb. I’m sure Haji Maji fans will love this record, and since there were only 1000 pressed you should grab it now! I’ve always thought of Haji Maji as a sort of (extremely) slow motion radio show. Well, next sunday afternoon Haji Maji will hit the airwaves for real. 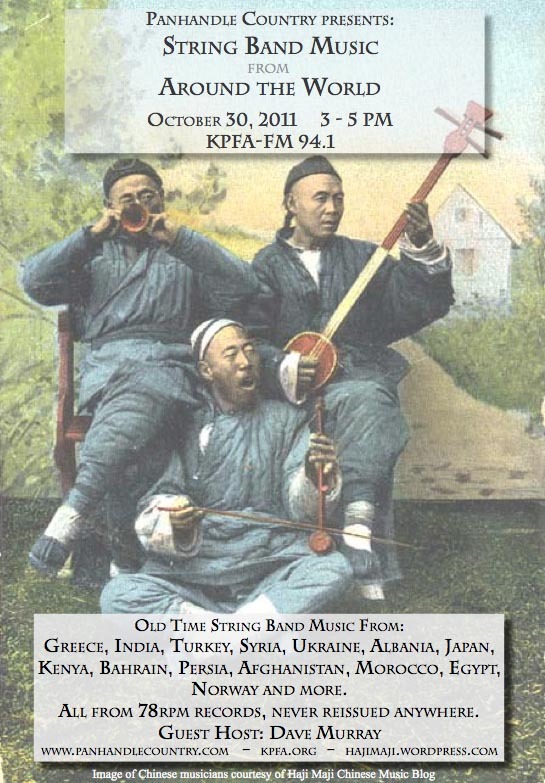 My pal Tom Diamant, host of KPFA’s venerable Panhandle Country, has invited me to stop by and play some 78s from my collection. “String bands of the world” was mandated to me as a general theme and I’ve more or less stuck to it. We’ll leave the usual Haji Maji territory of the Far East and explore some recordings from the rest of the world; Greece, India, Turkey, Syria, Ukraine, Albania, Japan, Kenya, Bahrain, Persia, Afghanistan, Morocco, Egypt, Norway and probably more. As far as I know, none of these records have been reissued on cd. Yakking will be interspersed, facts dispensed, speculations proffered and one or two upcoming projects might be revealed. You can listen via old fashioned radio waves or online at the url below. The archive of the show should be available for a limited time about a week after broadcast.